We’d love your help. 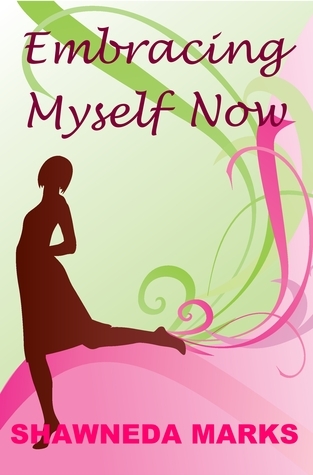 Let us know what’s wrong with this preview of Embracing Myself Now by Shawneda Marks. To ask other readers questions about Embracing Myself Now, please sign up. Oh my! This book was very good! You will cry! I even had a revelation while reading it! God is awesome! Keep letting Him use you Shawneda! This is book two of two. The connectiveness of the women in this book and how they met and became very supportive of one another. Reiterated the depth and true meaning of friendship. It bought me to tears as page after page depicted, hurt and the pain, most of all faith in the Almighty. Unwavering faith. At some points in the book I didn't want to put it down. This book left my crying. I wanted to share both books to all my friends and family. Made me appreciate and the honor of true friendship and relationships and what they mean to me. Shawneda, I thank God for you and this blessed series of books you wrote. You captured so many inspiring pieces that would encourage both men and women of God! And I'm not even finished reading the whole series yet! But my Sister I had to take the time to give praise where it is due! Thank you so much for sharing your gift with The Kingdom of God!